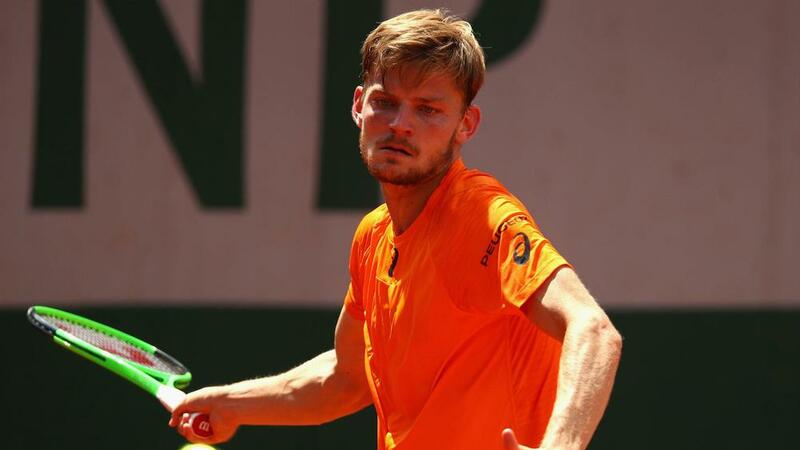 World Number 13 David Goffin has pulled out of Wimbledon next month as he continues to recover from an ankle injury. The Belgian saw his French Open campaign come to a halt in the third round after a nasty fall during his clash with Horacio Zeballos. Goffin - who was seeded 10 in Paris - was on course to wrap up the first set as he moved 40-0 up with a 5-4 lead, but a point later his grand slam was over. As the 26-year-old raced back to try and return a ball he tripped over the court covers situated well behind the baseline, twisting his right ankle as a result. Goffin remained hopeful he could be fit again in time for the grass-court major, but he has revealed those hopes are now over. "I am very sad to announce that I won't play at the Wimbledon championships this year," he posted on Twitter. "The re-validation is going well and doctors are positive but I won't have enough time to be ready for the tournament. "I want to be 100 per cent. Can't wait to be back on court!" Goffin has reached round four in the last two editions of Wimbledon, losing to Stan Wawrinka and Milos Raonic respectively.